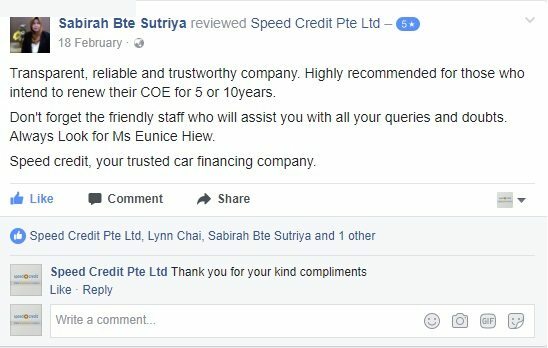 With sky-high COE (Certificate of Entitlement) prices, it has been a much practical option to renew you COE rather than buying a new car in Singapore. There is no need to say goodbye to your much-loved car, as we offer a COE renewal loan that can help you retain your car on the road. Through our COE renewal loan, you can enjoy huge savings with our competitive rates and flexible repayment options. We can help you renew your car’s COE for another 5 or 10 years. 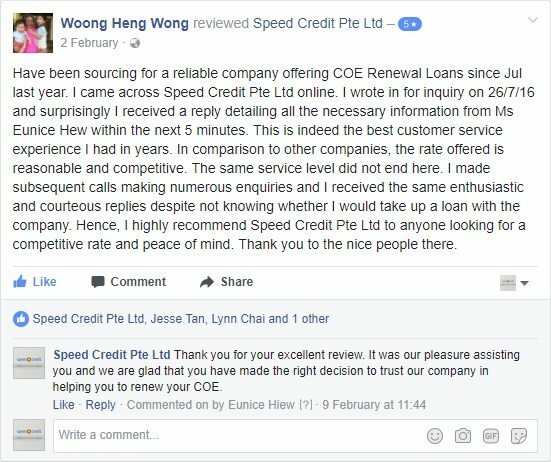 Contact us at +65 6444 4400 for more information regarding our COE Renewal Loan Service. Alternatively, you can call Lynn Chai at +65 9851 8281 for a personalised service. Click to fill out our COE Renewal Form to know more on how you can avail the rate below! With our competitive COE loan rates, we are more than confident that you’ll get the lowest monthly payment possible. 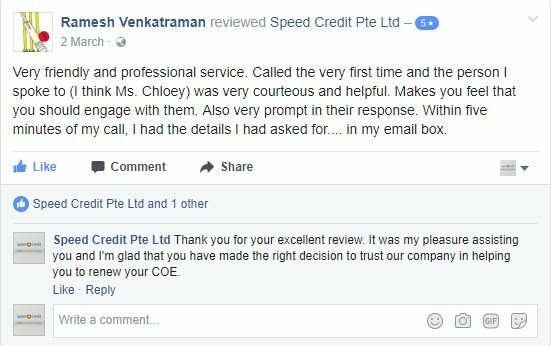 We are the first company in Singapore to offer COE Renewal Loan and is considered the most trustworthy auto finance industry expert. Maximum loan amount is 100% of Prevailing Quota Premium (PQP). Applicant should be 21 years old and above. Minimum income should be at least S$20,000 p.a. or 3x higher than its monthly loan instalment. For vehicles that are renewed for 5 years, maximum loan is only 4 years. For vehicles that are renewed for 10 years, maximum loan is only 7 years. Interest Rate for our COE Renewal Car Loan depends on the type and age of the vehicle. 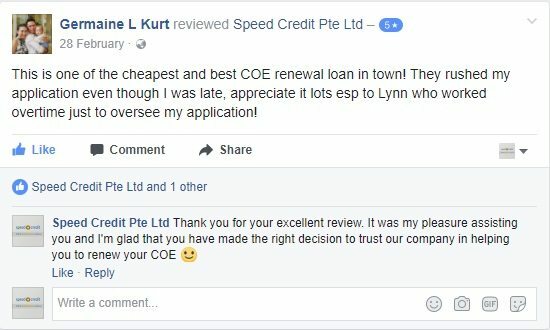 To know more about our COE Renewal Loan Rates, please contact us at +65 6444 4400. Alternatively, you can contact Lynn Chai at +65 9851 8281.